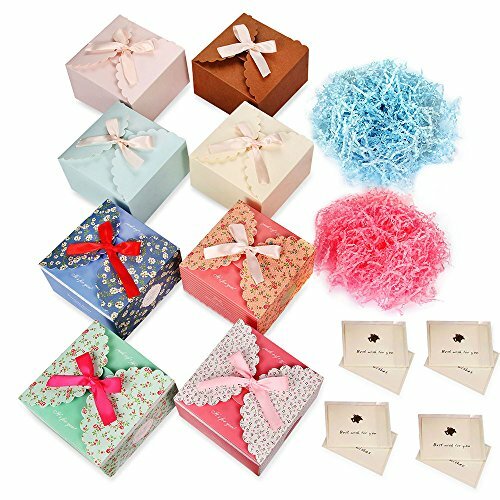 Plain boxes for gifts assembled of 8 pack ( 4 flower: white, blue, green, pink; 4 solid color: white, blue, pink, brown) with 3 colors ribbons, same size: 5.7*5.7*3.6 Inch; One piece boxes are easy to put together and the 3 colors ribbon adds a very cute and adorable looking. 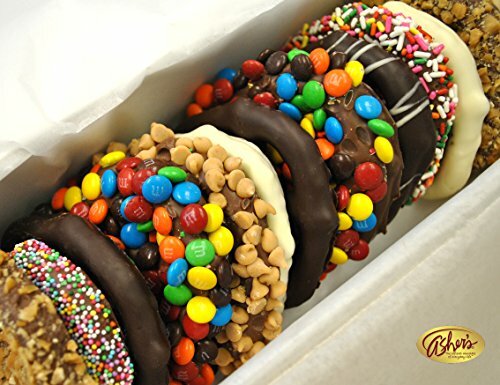 Treat boxes are perfect as a giveaway gift to your kids, families, friends for any celebration. 8 Mini white exquisite card decorated with metal, same size: 2.4*3.2 Inch; Includes 8 blank V-flap, 8 white envelopes, 8 OPP bags. 2 Pack crinkle cut paper shred filler (1 dreamy pink, 1 baby blue). 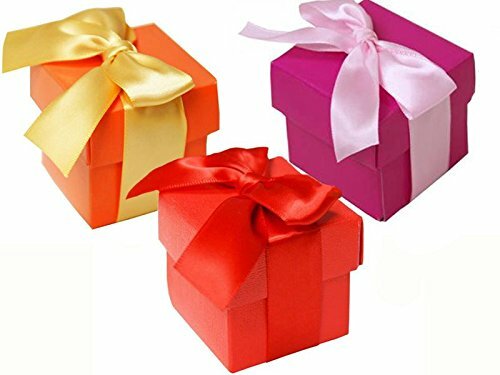 Gift wrapping boxes are great for chocolates, cookies, cake, candy, goodies, handmade soaps, candles, scarves, jewelry, gift cards, almost small presents. Crinkle cut colored shredded paper makes a great bed for displaying your product. 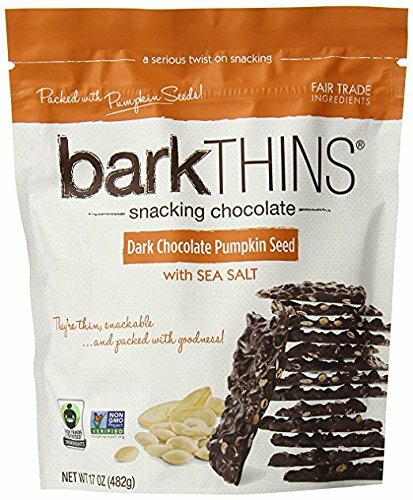 Assorted Candy Party Mix, Appx. 4 LB Bulk: Fire Balls, Airheads, Jawbusters, Laffy Taffys, Tootsie Rolls and Much More of Your Favorite Candy! Image not taken to scale. 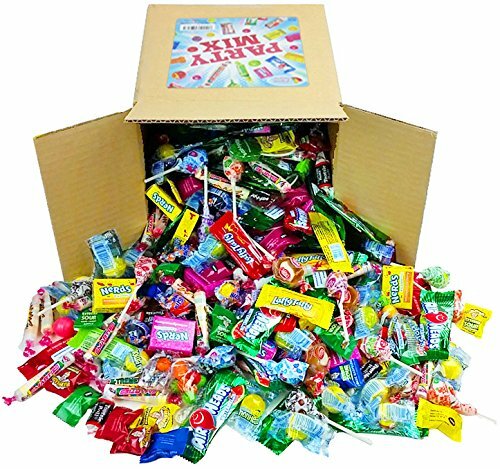 Item box size is 6″ x 6″ x 6″ and contains approximately 4 lbs of candy. 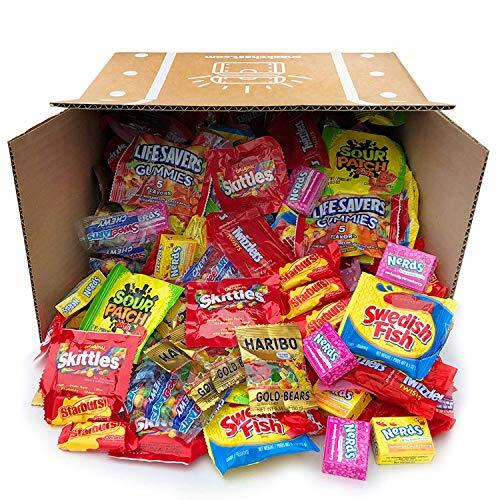 May include Atkinson’s Peanut Butter Bars, Atomic Fireballs, Jawbusters, Lemonheads, Airheads, Laffy Taffys, Gobstoppers, Nerds, Smarties, Chick-O-Sticks, Caramel Creams, Slo Poke Bites, Mary Janes, Tootsie Rolls, Chupa Chups, Necco Wafer Rolls. 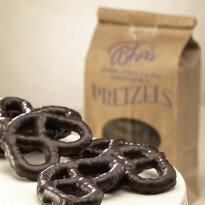 Item is a variety box and may not include all listed candy. DO YOU LIKE TO MAKE PEOPLE LAUGH? 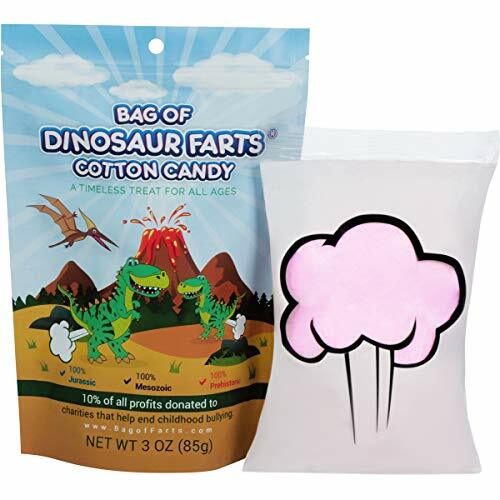 Bag of Dinosaur Farts are guaranteed to brighten a kid’s day. BALANCE BAR CARAMEL NUT BLAST NUTRITION BARS are high protein, low glycemic bars. A great tasting snack that provides 15g of protein per bar, Balance Bar Caramel Nut Blast Nutrition Bars are a nutritious treat any time of day. THE DELICIOUS CARAMEL FLAVOR of Balance Bar Caramel Nut Blast Nutrition Bars packs a sweet punch that is reminiscent of a candy bar but, with the addition of vitamins and minerals for a nutritious snack. 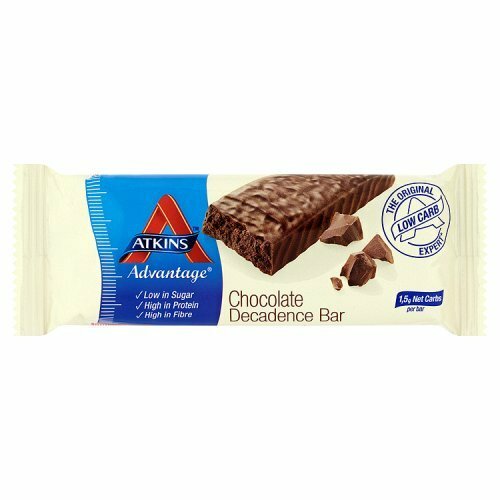 Stay satisfied all day with Balance Bars. BALANCE BAR CARAMEL NUT BLAST NUTRITION BARS are deliciously chewy, nutritious bars that provide 15g of protein & 24 essential vitamins & minerals. Go beyond breakfast with a delicious, nutritious Balance Bar Caramel Nut Blast Nutrition Bar. 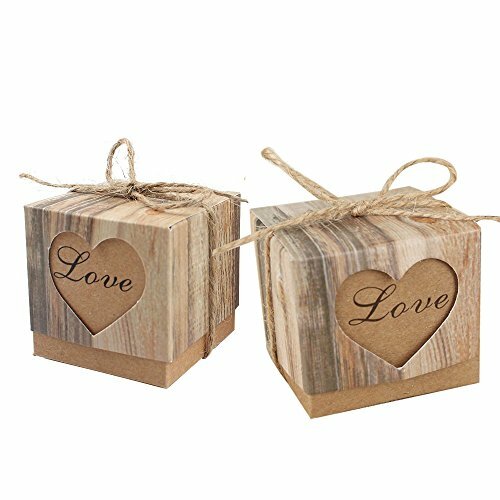 These 2x2x2″ wedding favor boxes with lids, 100 count, are perfect for holding treats like candy, little goodies and will delight your wedding guests.